TU Delft offers ‘Massive Open Online Courses’ (MOOCs) on the edX-platform. A MOOC is an online course aiming at a large audience in an open manner. The MOOC can be followed for free, or you can add a verified certificate for a small fee. In addition to traditional course materials such as videos, readings, and problem sets, MOOCs provide interactive user forums that help build a community for the students, professors, and teaching assistants. 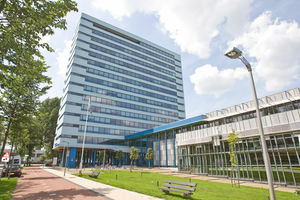 The TU Delft offers a number of courses of the Aerospace BSc and MSc programs online. This means that you can take part in the courses in your own time and at your own pace. The online academic courses are largely identical to the courses given on campus and will thus give you a good academic background into the topic. This course delivers the skillset in linear modeling that is required to solve structural problems using finite element (FE) models for practical applications. This course builds on the linear modelling course and delivers the skill set in non-linear structural modeling & analysis in the framework of the finite element method. Aeroelasticity is the interaction between structural dynamics and unsteady aerodynamic flow over the structure. Learn all about it in this course. This course provides you with an introduction to the key concepts, methods and systems which enable spaceflight. This course will provide you with the knowledge and skills to identify potential fatigue critical locations and sources of poor fatigue performance in structures. Economics and Ecologics go hand in hand for aircraft. How do we get structures light and keep safety, durability, maintainability and other aspects up to par? This course gives an extended introduction into the field of rotorcraft including conventional helicopters and hybrid aircraft-rotorcraft configurations. Rotor and wake aerodynamics are key to many applications such as helicopter and propeller rotors in transport and wind turbines for electricity generation. The desire to construct lower-cost, reliable and more capable spacecraft has never been greater. This course examines spacecraft technologies for satellites and launch vehicles. Rather like solving a tough mystery, this course is a "Howdunit" - tracking down and applying the equations of motion for complex dynamic systems. This course offers techniques such as least squares estimation, and Kalman filtering which are widely used statistical techniques for estimating parameters from observations. How do the various components of a wind energy system act together, and which technologies do they interact with?This course provides an overview. Next to offering MOOCs and online academic courses, TU Delft also offers a range of courses specifically designed for working professionals. These courses focus on practical knowledge and skills which you should be able to use in your day to day work. Upon completion of one of these courses, you will receive Continuing Education Credits (CEU’s). Aircraft performance is an exciting, continuously evolving field. This course dives into the physics and phenomena that determine aircraft performance. This course concentrates on the practicalities of integrating the many disciplines needed in the design and installation of offshore wind farms. Learn how to apply cutting edge knowledge of aeroacoustics in a simple and effective way. This course is for innovative professionals who are mainly active in the aerospace industry. Learn how smart structures impact the technological advancements of the future. This course will explore the challenges faced by investigators putting together the probable sequence of events. You’ll be familiarized with the investigative ways of thinking and forming of conclusions. Voor een overzicht van al het beschikbare online onderwijs zie de TU Delft website.